This week’s post on our Women Making Work; Work series is about Hayley who writes Winging it with Two Boys and runs an online business. Read all about how and why she changed careers to make work work for her. Thank you for taking part Hayley. Hi I’m Hayley, I am 38, and I am a mum of two boys (aged five and four). I have been married to my husband Alan for just over eight years. Prior to having children I worked as a PA, and gave up work to become a full time mum in August 2015. In May 2016 we decided to put our house on the market and relocate us, and our two children to Wales. In August 2016 we moved from just outside Ely, in Cambridgeshire to just outside Llanelli in Wales. I started my blog Winging it with Two Boys in March 2017 and I set up the WIW2B Shop in September this year. I make handmade items on my sewing machine. 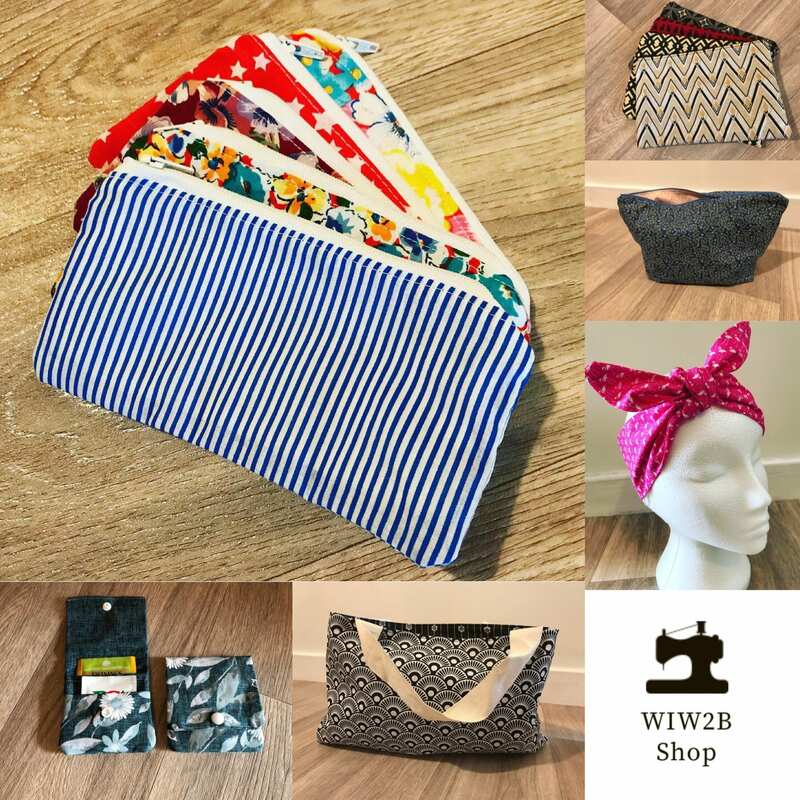 My current stock includes headbands, taggie blankets, makeup bags, tote bags, to name just a few items. I take custom orders, and also sell at local craft fairs. 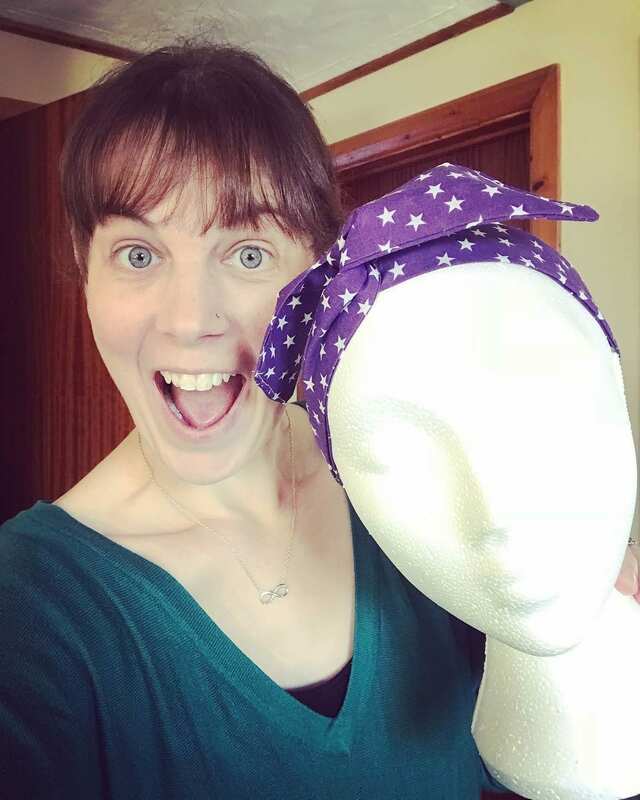 I am currently developing new stock such as neck warmers, ear warmers, baby hats, dribble bibs, the list is endless, so I am, very excited to launch these products in the new year. I was never going to be able to go back to PA work with having two small children, the hours just would not have worked with their school hours and school holidays. I had been wanting to start my own business for a while, but did not know what to do. I discovered I loved sewing, and decided to give it a go. Setting my own working hours. I love that I can work around the kids. I have had a few days where I was supposed to be working, but I have end up having to have one of the boys home as they haven’t been well – so I made the most of extra cuddles through the day and caught up with working either later in the week or at the weekend when hubby has been at home (he’s a lorry driver who works away from home Monday to Friday). The paperwork, and also having the self discipline to stop and not do too much (I can get carried away). I was diagnosed with ME/CFS in January 2017, and my week is planned out to the last minute, so I have to limit the amount of time I sew on my machine. I think because I am so meticulous with planning the time in my week because of my illness, I manage to balance it quite well. Working on a Saturday at a craft fair does get in the way of seeing my husband as he only at home for the weekends, so I am careful to space them out so I do not end up working two Saturdays in a row. Its a hard choice, but I am going to say headbands. They were the first product I started selling, and I love that I can be quite creative with the fabric choices so that they really stand out. 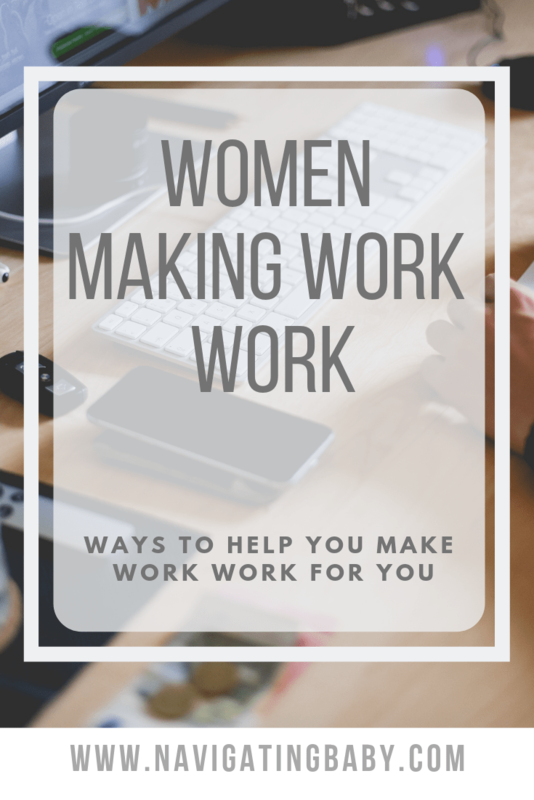 If you would like to take part in the Women Making Work Work series then please do get in touch.